Embark on this tour anytime you want as this is not a seasonal tour! This tour is superb and explored so many good places, especially those beautiful beaches and saw all cute cows!! Would definitely recommend my friends to join this tour!! 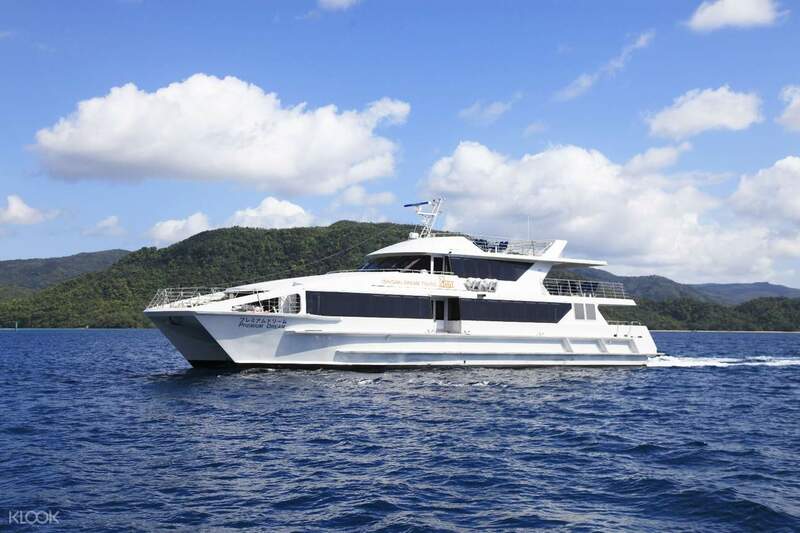 Embark on this tour around Okinawa's most popular islands, Iriomote, Yubu, and Taketomi! Go island hopping, ride boats, go sightseeing in buffalo carts, taste traditional Okinawan cuisine, enjoy lush botanical gardens, and more! Your tour begins when you depart from your chosen meet up location on Ishigaki Island. From Ishigaki Port Terminal, you'll be taking a boat to Ohara Port on Iriomate Island. Enjoy the views of the waters when you go on a boat tour around this island while enjoying the scenic sights of Nakagawa River's Red Forest. 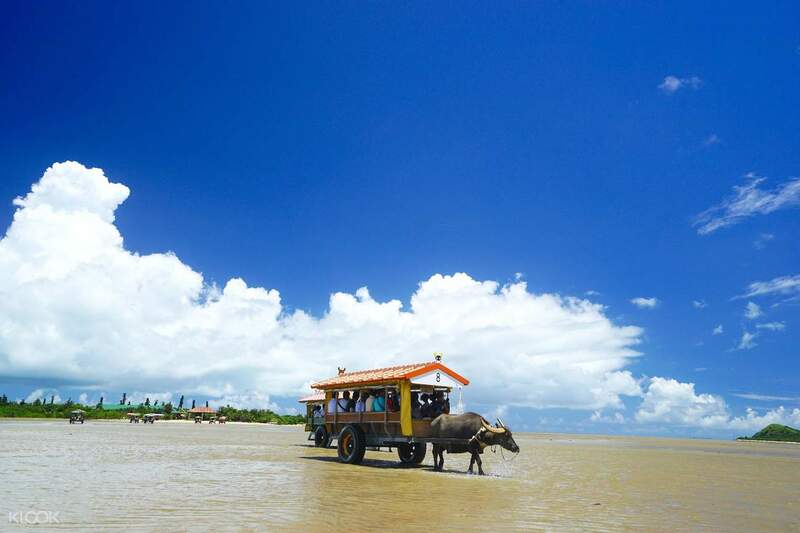 Take a bus to the buffalo car and ride this one-of-a-kind experience of being pulled by a buffalo to Yubu Island. 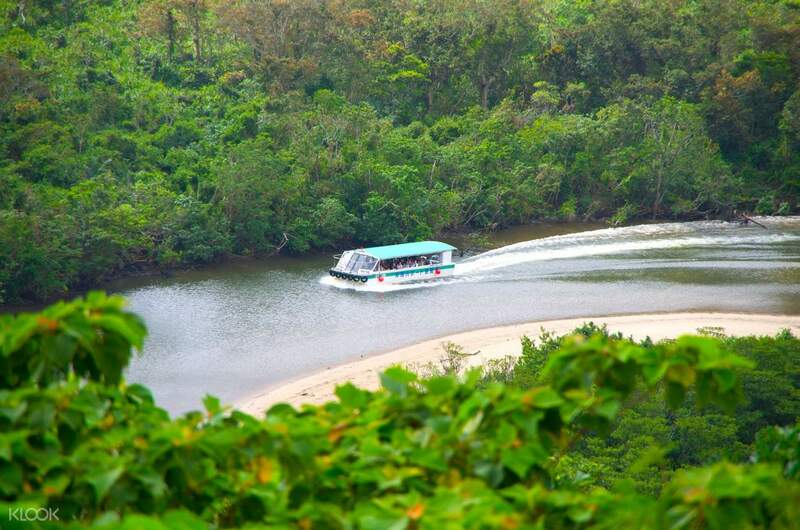 It is here where the Yubu Botanical Gardens are, a lush destination filled with beautiful greeneries. Enjoy a lunch as well of top quality Okinawan cuisine as you enjoy the natural ambiance around you. You'll be riding a bus back to the Ohara Port and embark on another boat to Taketomi Island this time. 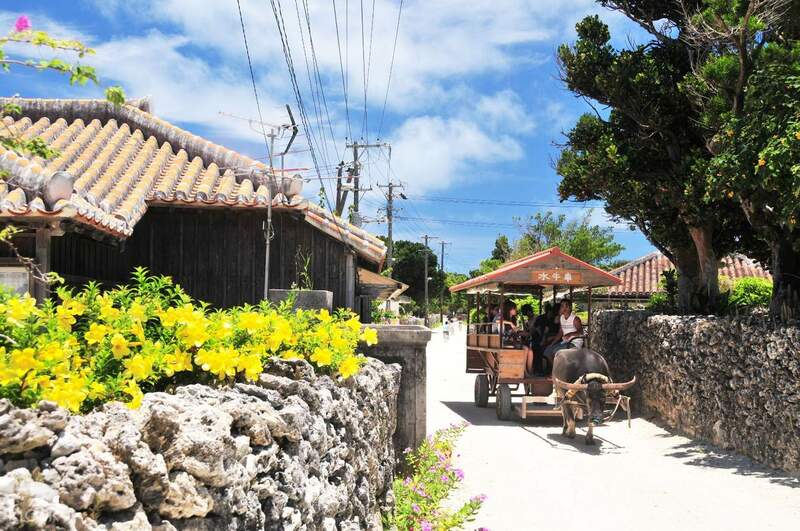 More buffalo car rides await you for even more sightseeing, and you can also walk around the Taketomi old street and listen to music of three-string chords. Take in the area before returning to Ishigaki Port, where you'll be taken back to your selected location. If you can't get enough fo the tour, you can choose to stay on Taketomi and explore and return to Ishigaki by yourself. This tour is superb and explored so many good places, especially those beautiful beaches and saw all cute cows!! Would definitely recommend my friends to join this tour!! This tour is superb and explored so many good places, especially those beautiful beaches and saw all cute cows!! Would definitely recommend my friends to join this tour!! It is hard to visit a company if you take a tour directly from Ishigaki Port. If you go to the second vendor at the end of the information label, give the sticker and schedule. On request, you can receive machines in Japanese, English, Chinese and Korean. It's just a basic explanation, so I do not think you can get it. I was quite nervous because I had to go through the guided tour without a guide. Luckily group tourists followed the same route because they were on the same route. The food from lunch was also good and the experience of water buffalo ride was wonderful. It is tempting to go to several islands at once. 이시가키 항에서 바로 투어에 참가할 경우 업체를 찾아가는 게 힘듭니다. 안내판에서 인포메이션이라고 적힌 끝에서 두 번째 업체를 찾아가면 스티커와 일정표를 줍니다. 요청 시 일본어, 영어, 중국어, 한국어로 된 기계를 받을 수 있습니다. 기본적인 설명만 들어 있어서 굳이 안 받아도 될 것 같습니다. 가이드 없이 알아서 투어시간을 맞춰 진행해야 해서 꽤 긴장했습니다. 운 좋게 단체여행객이 동일루트라서 눈치껏 따라 갔습니다. 점심으로 나온 음식도 괜찮고 물소를 타는 체험도 신기했습니다. 한꺼번에 여러 섬을 간다는 게 매력적입니다.